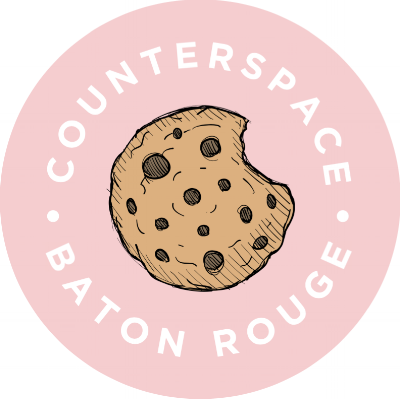 CounterSpace is the brainchild of Lafayette native and Baton Rouge resident, Sarah Joy Hays. Almost two years ago she recognized a desire to do something with food in Baton Rouge alongside the emerging foodie culture. After winning a whole new kitchen’s worth of appliances, Sarah Joy accepted that as affirmation and she began selling her cookies and other baked treats at the Mid City Makers Market in addition to hosting cooking and cocktail classes out of her home. With a spot at White Star Market, she is excited to share the goodies that she has made habit of handing around to friends and family over the past decade. Come by and enjoy cookies and cake Monday-Saturday and always be on the lookout for special flavors and simple twists on classic desserts!